Excavation - Clear Pipe, Inc. NEED TO TRENCH OR CUT UP CONCRETE? We can do commercial sites, residences, grading, and more. Our staff is experienced and has had hundreds of hours operating the equipment. Safety comes first and our techs know to be careful and vigilant. 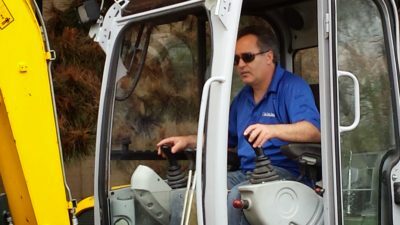 Our machine operators, foremen and experienced project managers are here to help you with your excavation needs such as underground lines, trenching, directional drilling and removing concrete, asphalt, stones, topsoil, gravel and sand.